Get healthy with The Ultimate Green Smoothie Cleanse Bible! 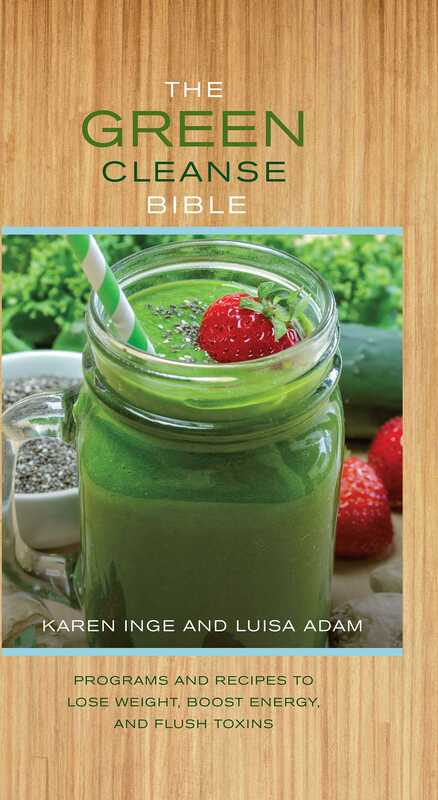 Cleanse and detoxify your body with hundreds of smoothie recipes and meal plans in The Green Cleanse Bible. Boost your immunity, nutrient intake, and weight loss by blending fruits and vegetables in tasty combinations—some you may have never thought of! Increase your energy level with apples, kiwi fruit, parsley, avocados, kale, spinach, and a host of other "green foods" that span all colors of the rainbow. With ideas about what to look for in your garden or grocery store, how to prepare it, and what foods to pair it with, this book is a complete guide to green cleansing. Karen Inge is an accredited practicing dietitian and widely published author of several trade and academic texts on nutrition and sports medicine. Her decades-long career has included, amongst other things, advising Olympic athletes and preparing menus for international athletes competing at Olympic and Commonwealth events. She also regularly appears on lifestyle, current affairs, and news TV programs providing specialist nutrition comment in her home country of Australia. Luisa Adam is a writer and researcher who has worked in academic and government publishing for over 25 years. The many subjects she has researched range from nutrition, cookery, and art through to meteorology, sport, and education. She has a particular interest in nutrition that dates back to her adolescence during which time she experienced a severe eating disorder. She credits healthy nutrition for having pried open the window to restoring her health. Luisa lives in Melbourne, Australia.